A feature effect for close-up, parlor, or stage. 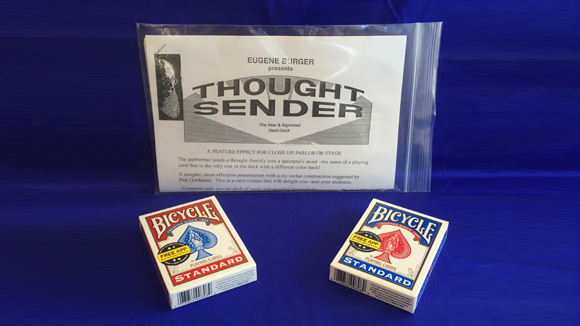 The performer sends a thought directly into a spectator’s mind—the name of a playing card that is the only one in the deck with a different color back! A simpler, more effective presentation with a sly verbal construction suggested by Phil Goldstein. This is a card routine that will delight you and your audience. Complete with special deck of cards and detailed instructions. 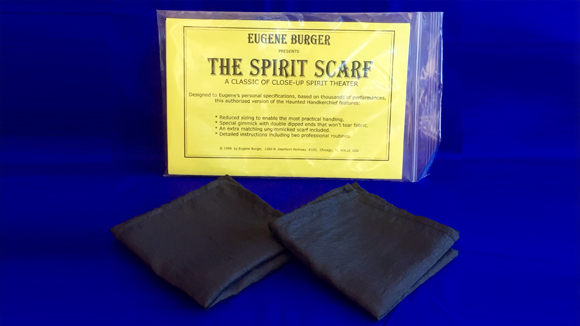 This effect is produced for Eugene Burger by Jeff Scanlan and is here sold with Eugene’s Permission. Complete with gaffed and ungaffed scarf and instructions with two professional routines. Available only in black. Each scarf is 17” x 17”. Quality cloth in solid color for greater visual focus. Special gimmick with double dipped ends that won’t tear fabric. Congratulations! When I suggested to you that you put together a complete thimble set, I never imagined you’d do such a terrific job. These are quality wood thimbles. 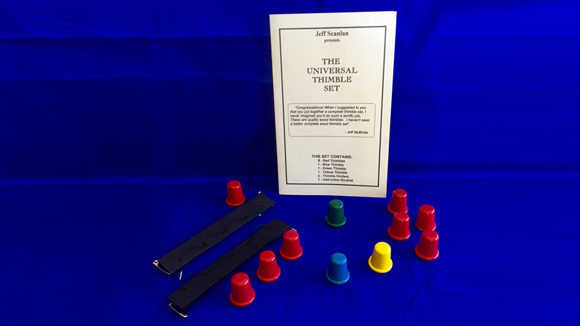 I haven’t seen a better complete wood thimble set.